Submitted by Jason Horton on Nov. 21, 2017..
A condenser mic with both USB and Lightning Connectivity, the Spark Digital is based on the design of Blue Microphone's Spark Studio Mic. It is designed for recording singing, acoustic guitar, drums, piano, other acoustic instruments and podcasts. It has both USB and Lightning connectors and also comes with a shock mount and microphone pouch. It also has a headphone jack for zero latency monitoring. One of its unique features is the Focus Control switch which changes the capsule voltage to emphasize the mids and highs essentially giving you two mics in one - look at the frequency response chart below to see the frequency changes. Max OSX 10.4 or later. iOS 6 or later on iPhone 4, iPhone 4S, iPhone 5, iPhone 5S, iPhone 5C, iPad, iPad 3rd generation, iPad 4th generation, iPad Air, iPad Mini 1, iPad Mini 2, iPad Mini 3, iPod touch 4th generation, iPod touch 5th generation. It is also Windows compatible but the official specifications only cover XP, Vista 32-bit, Vista 64-bit, 7 32-bit, 7 64-bit, 8 and 8.1. Update: Blue Microphones have confirmed this is Windows 10 compatible saying, "All of our USB microphones have been tested with Windows 10 and we have confirmed that they are all compatible with Windows 10." This mic is a 'Recommended Product' by Digital Trends who said it "may not be ready to take center stage in your prosumer recording studio, it gets closer than we expected. And when it comes to plug-and-play demo recording, we can’t think of a mic we’d rather have in our arsenal". Several customer reviews compared the Spark Digital to the Yeti with the majority saying this is a much better USB mic than the Yeti - particularly if you don't need selectable polar patterns. Both musicians and podcasters said in their reviews that the Spark Digital delivers a professional quality sound. There were a few people that complained about the bulky stand it comes with, the 'delicate' way the mic screws into the stand, and the fact that if you want to mount it on a regular stand then you have to buy the Blue Microphones S3 Shock Mount. 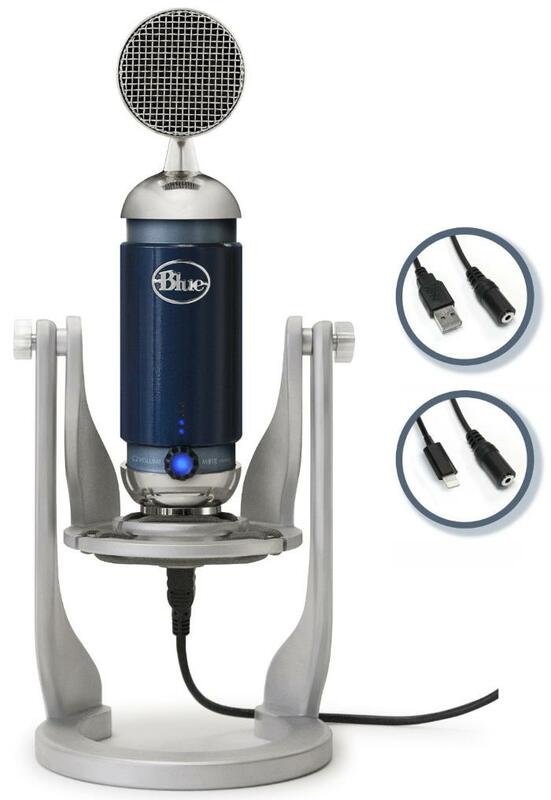 Mac, iPad, and Windows users are generally very happy with this mic - I have confirmed with Blue Microphones that this does work with Windows 10. The Spark Digital is not currently on our highest rated list - you can see that in our guide to The Best USB Microphones for Recording & Podcasting.